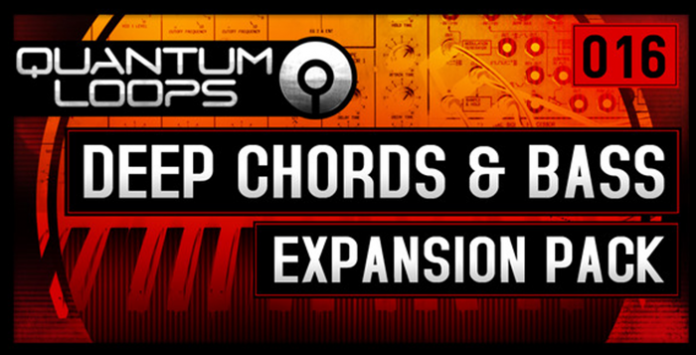 Quantum Loops are proud to announce the latest release, Deep Chords & Bass “Expansion Pack”: Exactly what is says on the tin, this pack is jammed full of analogue bass and chords in WAV, MIDI, and RX2 files to boot. With 200 bass loops, and 200 chord loops, inspired by the likes of MK, Shadow Child, Chris Malinchak, Route 94, and many more, this is the ultimate expansion pack to get those creative juices flowing. Produced by Quantum Loops owner Dom Kane along with Quantum Loops regular Owen Sheppard (Castro), this pack contains 100s of loops carefully designed and created using everything from Moog, Roland, E-MU, Juno, and Dave Smith Instruments, while processed using Neve and SSL to name a few. Spread across 4 main keys (Bb, C, E, and G), each section of the pack has been designed to be interchangeable. So whether you’re looking to write a head-nodding bass track, or blissful chords, this pack has both in excess. As always, we recommend you experiment with our loops too! For more creative loops, why not soak them in huge reverb and then filter out the low end, add some side chain compression, and stack them underneath your existing track layers to add in some more ambience and depth to your drum buss. Why not try reversing the synth loops, or throwing all sorts of FX over them?